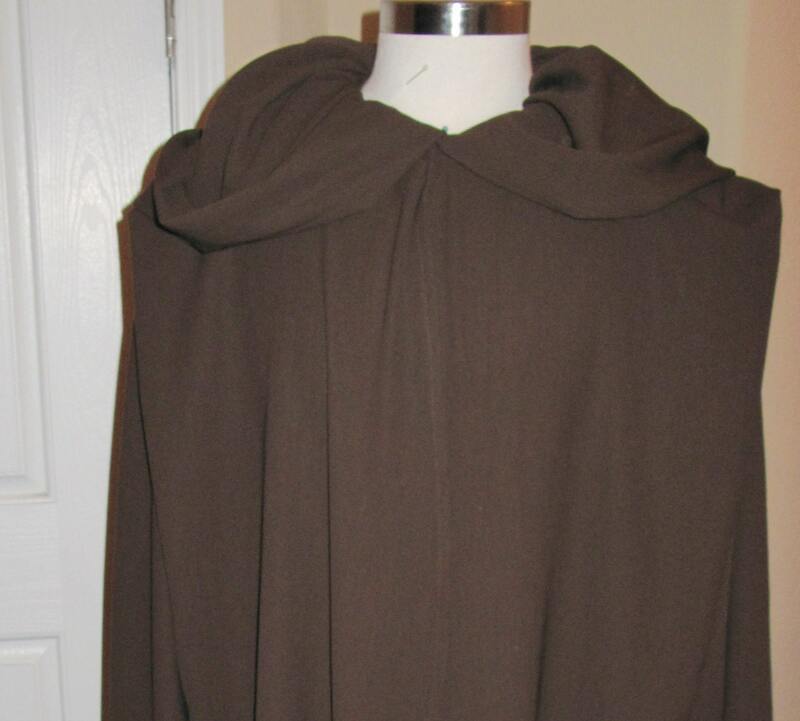 The robe has a deep hood in the center back and also has 2 tucks at the shoulders. 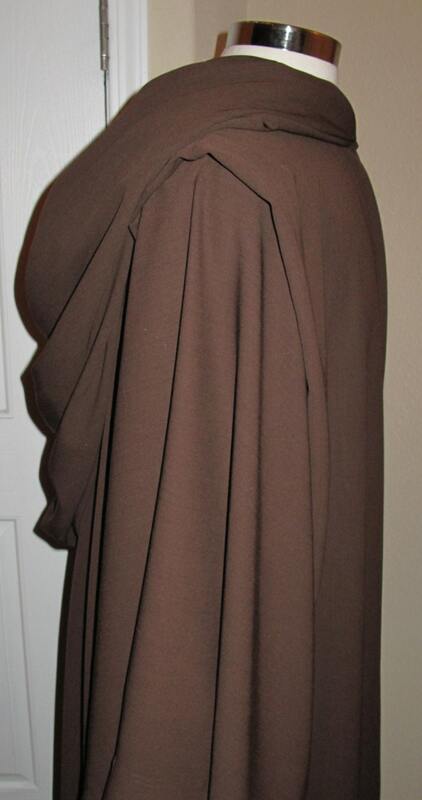 The hood does not have a center front seam and is doubled which means it is lined with the same fabric. The robe is produced to your measurements and after purchase please provide accurate measurements in inches. This robe is made of wool suiting fabrics which makes the robe much lighter in weight than the wool flannel and is designed for folks who live in hot climates.